ATTRACT is challenging researchers, entrepreneurs and companies to launch scientific technologies for society. There is a huge gap between fundamental research and real market needs. The European ATTRACT Call must ensure to reduce this gap. The ATTRACT project is funded by the EU Horizon 2020 program. The Attract funding programme is an initiative lead by six of Europe’s leading scientific research facilities, H2020 and RIA. Together, they will join forces with experts in Business Education and Management to develop next-generation scientific tools and co-create new products, companies and jobs and lead the next generation of detection and imaging technologies. The programme provides start-up capital to projects focused on scientific technologies that are beneficial to society. These technologies that receive funding must be realised within ten years. The purpose of ATTRACT is to create a systematic framework that transforms breakthrough technologies to ground-breaking innovations. These innovations have the potential to create an entire new range of applications and markets that can change our society and be used both commercially and scientifically. Breakthrough technologies and very new technology concepts can use the program. Also combinations of existing technology concepts that lead to a significant increase in their performance or usability compared to existing technologies can use the ATTRACT Call. The project proposals have to be submitted as a joint proposal by a group of at least two independent legal entities. 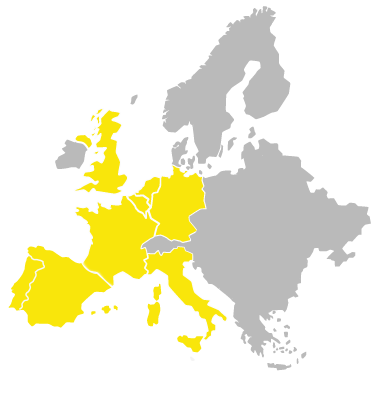 These legal entities have to be located in the European Union or a Horizon 2020 Associated country. If you are alone, there is a service called ‘’Speed Networking’’ available on the ATTRACT website to help people find others to co-develop their breakthrough scientific idea. The total available budget is 17 million euro. The best projects receive 100,000 euros in starting capital to implement their idea. Among other things, the technology content and the innovation potential count in the assessment. The deadline for submitting an application, consisting of a maximum of four A4 pages, is 31 October 2018 . Get in touch with our consultants. Fill in our contact form and we will get in touch with you.